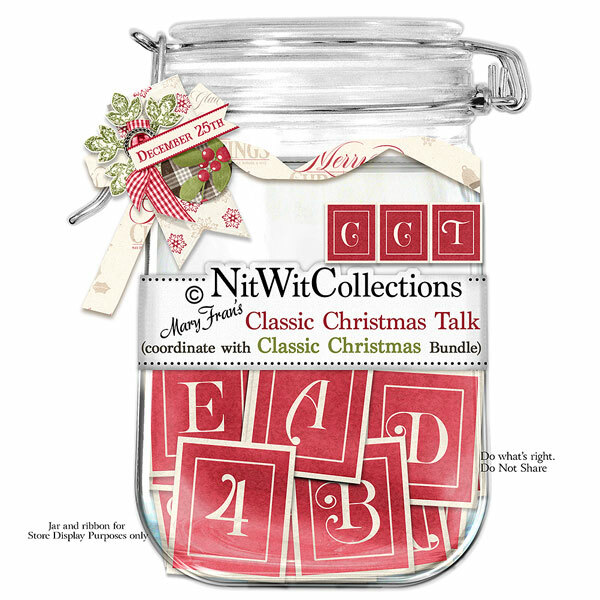 "Classic Christmas" Talk is a festive and bold red and cream coloured alpha that gives you the opportunity to highlight names, phrases, dates, etc. in your Christmas scrapbook layouts, cards and mini albums. 1 Alphawit set of uppercase letters, &, blank, exclamation mark, question mark and set of numbers(0 to 9).